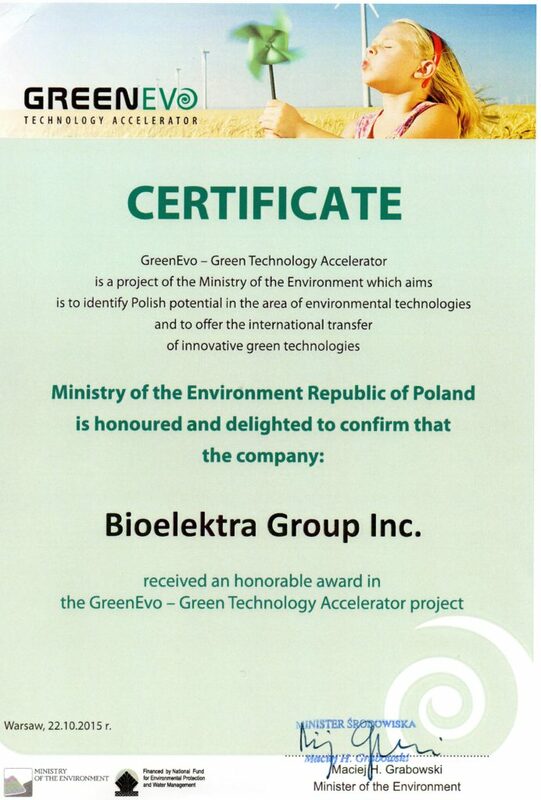 Bioelektra Group, the only company which gained the special award in this year edition, received the Greenevo statuette from Minister of Environment Marcin Korolec. According to the Jury, our technology was distinguished due to a significant development potential. Awards were presented during the gala, which took place on 22 October in Copernicus Science Centre. – Polish entrepreneurs’ inventiveness never ceases to amaze us. 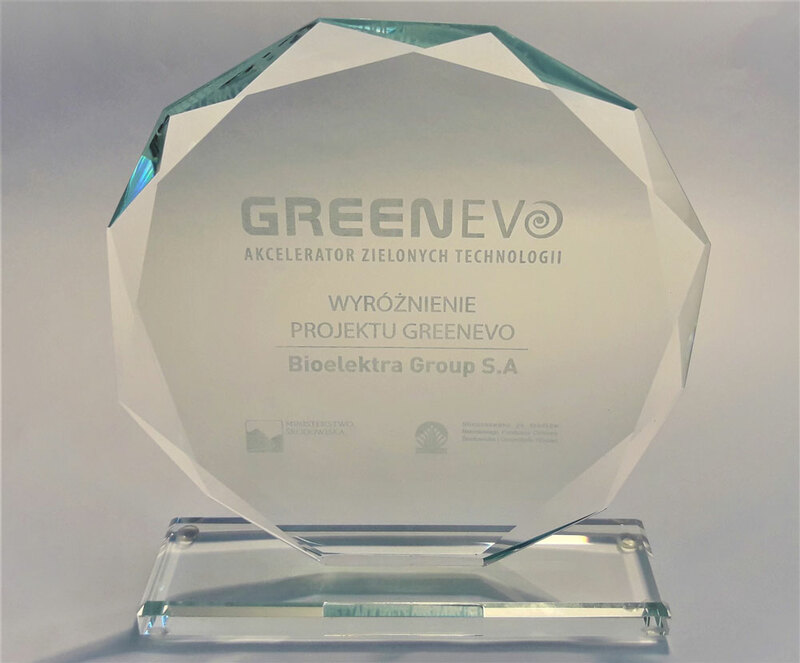 Green technologies submitted for the GreenEvo project respond to new environmental challenges, meeting as well the market requirements – said during the gala Minister Marcin Korolec. A report from the gala is available at the website of Ministry of Environment.